Published in the March issue of Health Affairs, the paper notes that people who use fringe loan services and those who do not have access to a bank account were 38 percent and 17 percent more likely, respectively, to self-report having poor or fair health than those who do not use fringe services or who have access to a bank account. "Public health research is limited on this topic," said Jerzy Eisenberg-Guyot, a UW Ph.D. student in epidemiology and lead author of the paper. "With this study, we now have the evidence that supports a public health approach to this problem and one that addresses why people are using fringe loan services in the first place." Largely non-existent several decades ago, the fringe banking industry grew precipitously in the early 1990s as states loosened interest-rate regulations. At the same time, national banks absorbed smaller, local institutions like credit unions and savings and loan associations that provided small loans to customers. Today, fringe banking is a multi-billion dollar industry whose customers are disproportionately people of color and those with low or volatile incomes. Financial instability and scarce resources fuel the fringe banking industry and its profits. Fringe loans are commonly obtained to pay for necessities like rent or medical care. Fringe loans are notorious for their annual percentage interest rates of 400 percent to 600 percent. The high rates make it easy for customers to spiral into debt. Without traditional banking services, families making $25,000 annually are likely to spend more on check cashing and other fringe services than on food each month. . The debate about fringe banking has usually been on whether or not these services are financially helpful to those most in need of using them. This study is the first to leveraged data from the Census Bureau's annual Current Population Survey, or CPS, to explore the relationship between fringe borrowing and health. Eisenberg-Guyot analyzed data from two supplemental questionnairesfrom the Current Population Survey between the years 2011 and 2016. The questionnaires are taken nine months apart. In the June questionnaire, about 15,000 respondents are asked about their use of fringe services and banking status, while in the March questionnaire, the same respondents are asked about their self-rated health status. Many factors associated with obtaining fringe loanscan affect t health, such as income level. To isolate the health effects of fringe loan use and unbanked status from the health effects of these confounding factors, Eisenberg-Guyot used a propensity-score matching technique. Self-rated health status doesn't provide much context about the respondent's specific health conditions. The researchers admit this is a limitation to the data, but the measure has been shown in other studies to be strongly associated with morbidity and mortality. 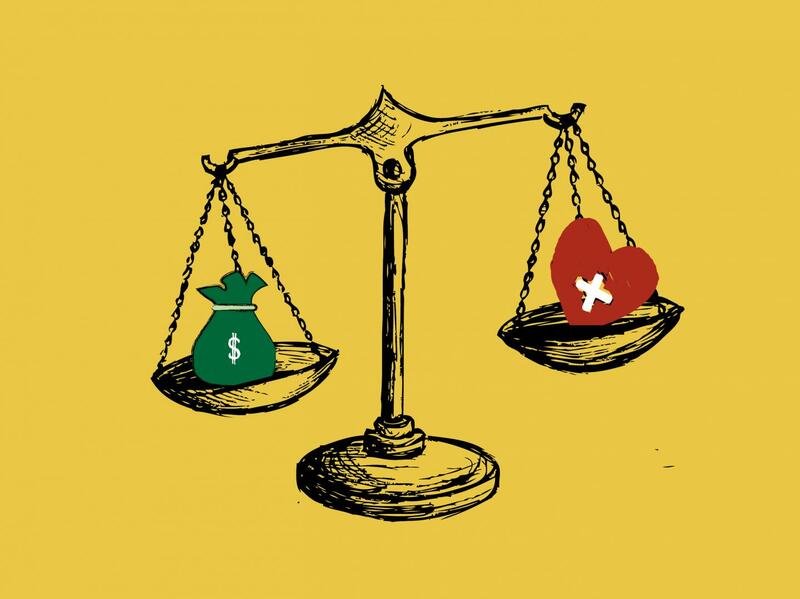 Despite this and other limitations to the data, the findings suggests that, while fringe loan services are not a root cause of poor health, they likely contribute to it. The authors stress that a combination of regulations, options for alternative banking institutions, and stronger welfare programs and labor protections can help mitigate — and potentially eliminate — the use of fringe banking services. They cite examples like providing universal health care, raising the minimum wage, and resurrecting the U.S. Postal Service banking system. "This type of work has many policy implications," said senior author and assistant professor of epidemiology, Anjum Hajat. "There are several ways we, as a nation, could re-engineer the social safety net and adjust social policy to assist people who find themselves using these services. I am especially hopeful that changes at the state and local levels will help low income populations." The co-authors of the study are Caislin Firth, a UW Ph.D.student in epidemiology ,, and Marieka Klawitter, a professor at the Evans School. Anjum Hajat's work on the project was supported by strategic hire funds provided by the University of Washington School of Public Health and the Bill and Melinda Gates Foundation.